Real Wealth® produces an audio podcast for you to distribute to your clients and prospects. 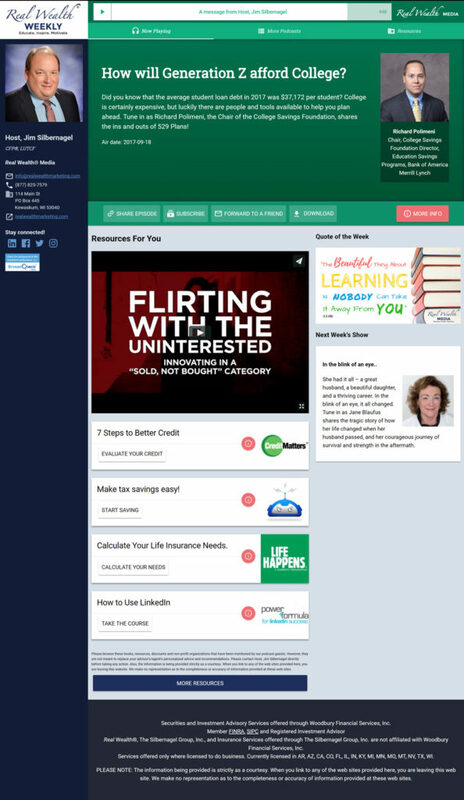 It is designed for you to keep in touch with them every week by providing emotional audio content that motivates them to take action with you and refer the people they care about most. With a Premier Service subscription, you get your own personalized Real Wealth® webpage to share with your clients and prospects. 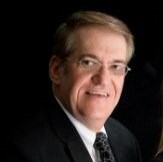 We interview nationally-recognized guests and industry experts to provide timely, relevant information to your clients. We cover topics such as business planning, college education planning, estate planning, insurance needs, retirement income planning, tax planning, among other topics to encourage clients to work with their team of professionals to achieve a realistic comprehensive plan. Real Wealth® exposes your client to the other services that you offer that can help them achieve their financial goals. 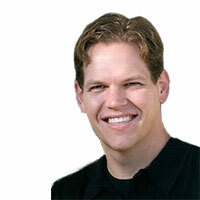 Instead of talking to each client about every service you offer, use Real Wealth® and put cross-selling on autopilot. 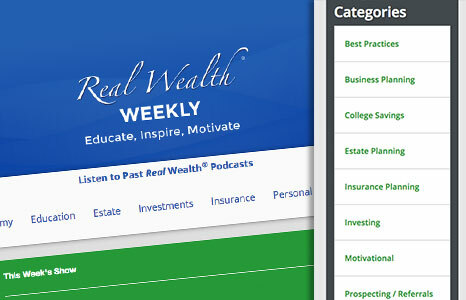 With a Premier Service subscription, your Real Wealth® webpage includes a categorized podcast library for your clients to learn more about the subjects that interest them. 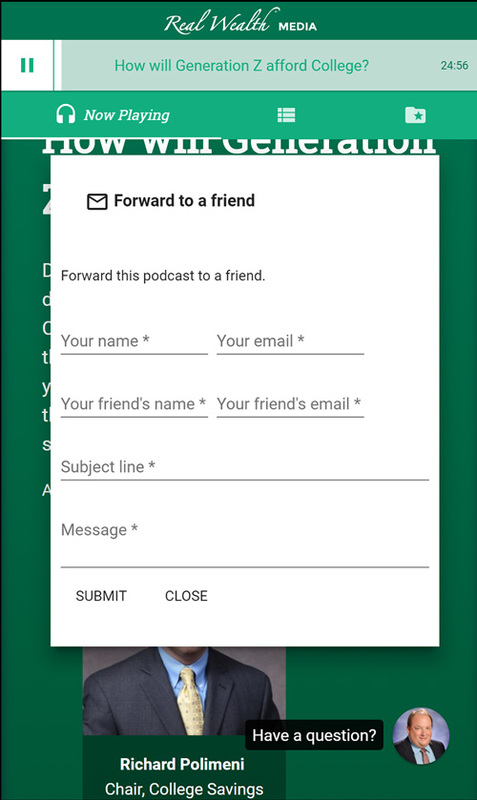 Every program tells the listener “If someone you care about could benefit from this program, click the Forward to a Friend button.” You can begin drip-marketing to your new contact so you are the first person they think of when they are ready to make a buying decision. With a Premier Service subscription, we can track your Forward to a Friend button, so you can capture those referrals, add them to your Real Wealth® email list and begin drip marketing to them! Make yourself a more proficient professional and better business person. 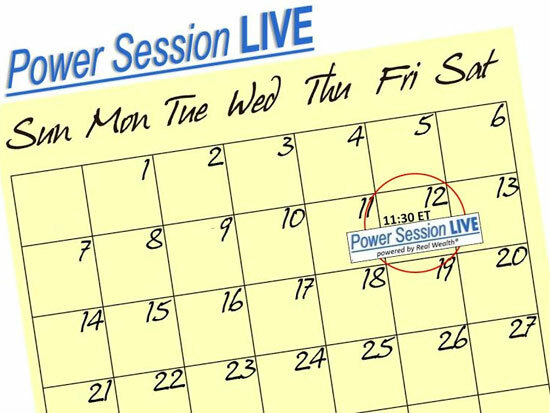 The second part of our program is Power Session LIVE, a monthly webinar for you, the professional. We feature the top leaders in the industry, bringing you a taste of MDRT every month, without having to leave your office. 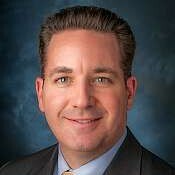 Learn more about our featured presenters. With a Premier Service subscription, you have insider-access to our website, including the full library of Power Session LIVE webinars! Always hosted on the second Friday of every month at 11:30a.m. ET.